I have found that no matter how I’m going to prepare tofu it’s best to start by crisping it up first. Remove the firm tofu from the package and let it drain for at least twenty minutes by simply standing it up on a plate so the water can run out. 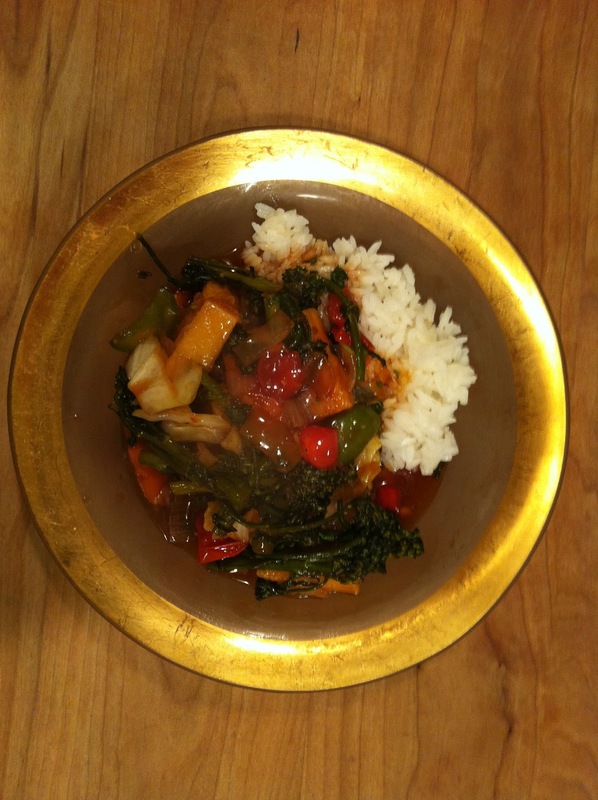 Heat a little vegetable oil in a pan, slice your tofu, and sprinkle with salt and pepper. 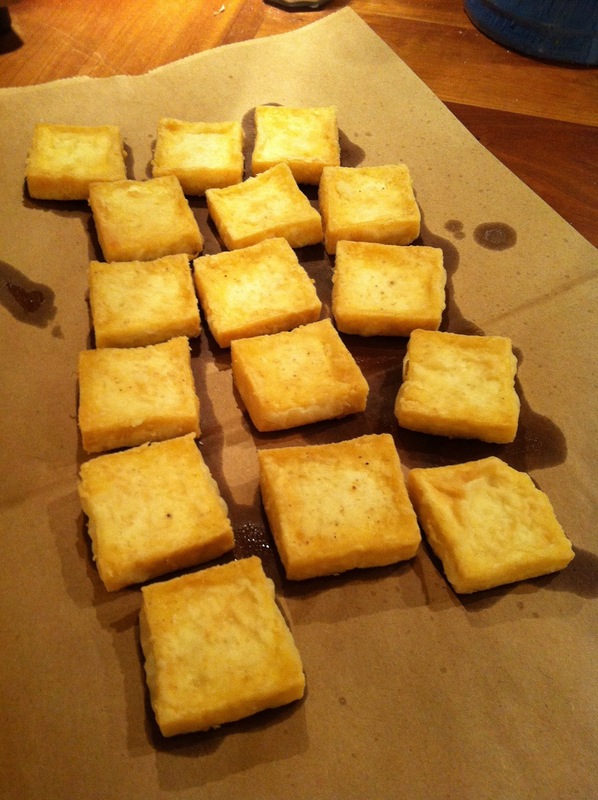 When your oil is hot toss a few slices of tofu at a time in a bowl of flour knocking off any excess flour before frying. Make sure you don’t crowd them in the pan as you want them golden brown on both sides, it should take about four or five minutes per side. Once cooked set them on a paper bag to drain. Last night I sautéed some vegetables, added a jar of Trader Joe’s General Tso’s sauce, then when the sauce was hot I stirred in the cooked tofu, simmered for five minutes, and served with rice. Black bean sauce is another favorite convenience item I buy locally. The tofu is also great right out of the hot oil with chopped scallions and soy sauce or your favorite hot sauce. Not sure I've ever had anything that's been fried in oil that I didn't like.